When you visit Shangri-La, Zao is a restaurant that is hard to ignore. You will easily notice it because of its all-red theme. 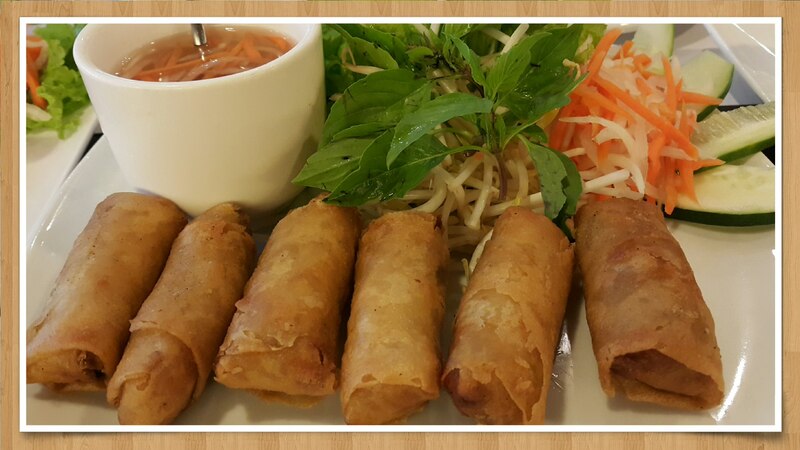 They offer Vietnamese cuisine that will tickle your palate. 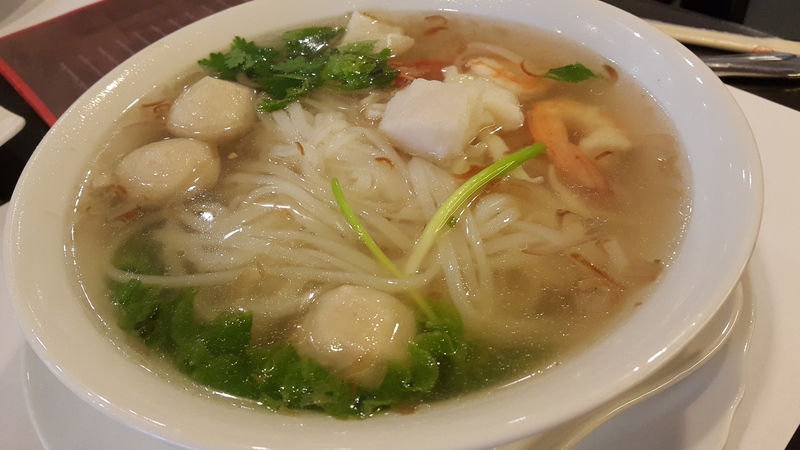 Zao does not serve the usual Asian food we eat, Vietnamese food is more on the sweeter side. 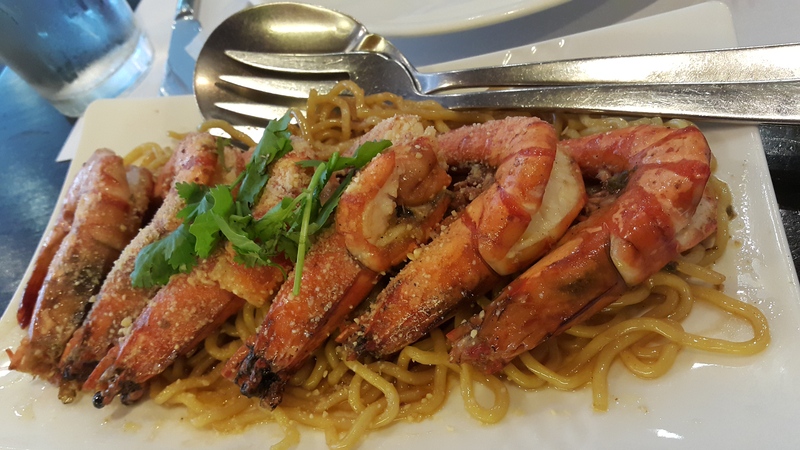 To be honest, I was quite surprised to see noodles underneath the shrimps; but the noodles complemented the shrimp so it was a good choice to order it. However, you have an option to order peeled shrimps instead. From the name itself, you may think that it is too spicy to handle — but it’s not. It’s not even salty! 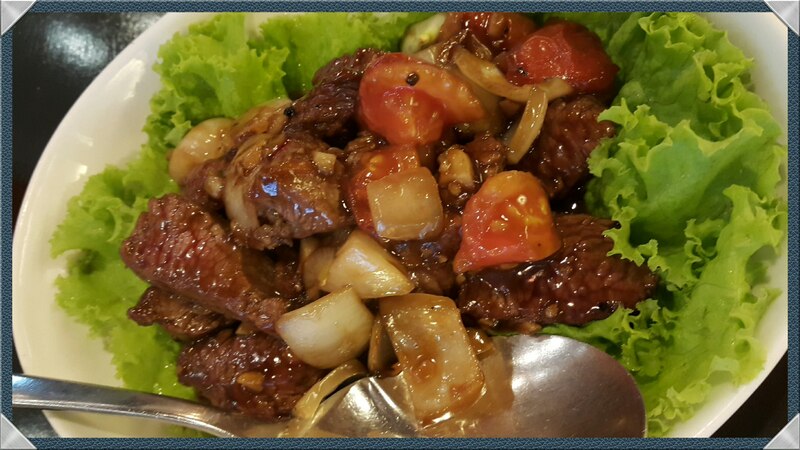 Though I requested for it to be spicy, I guess this is really the taste that we should get. 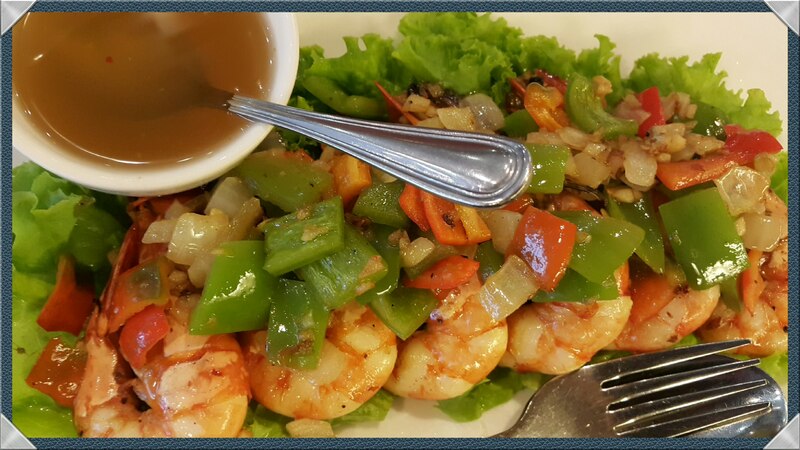 Overall, I love the shrimp and the veggies underneath it. I prefer this than the other shrimp dish simply because I didn’t like the idea of the shrimps being soaked in the noodles. 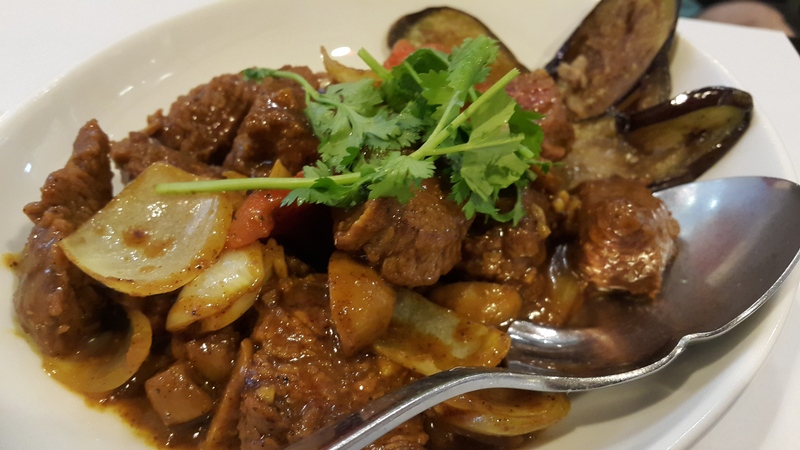 Both the Shaking Beef and the Beef Curry have the same taste. They’re not the usual curry that we Filipinos are used to. 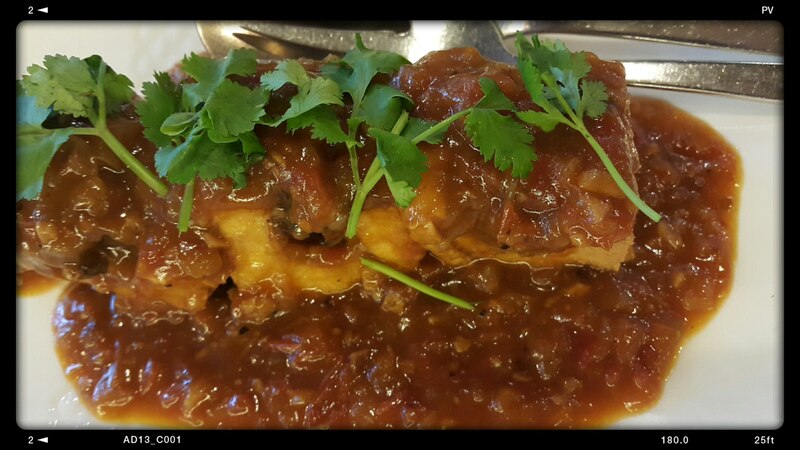 These dishes are a bit sweet and spicy. You’ll feel the pepper once you eat it. Something that I’m not that comfortable of. This fried rice has too many toppings. If you’re more into meat than rice, order this. I like this rice better. 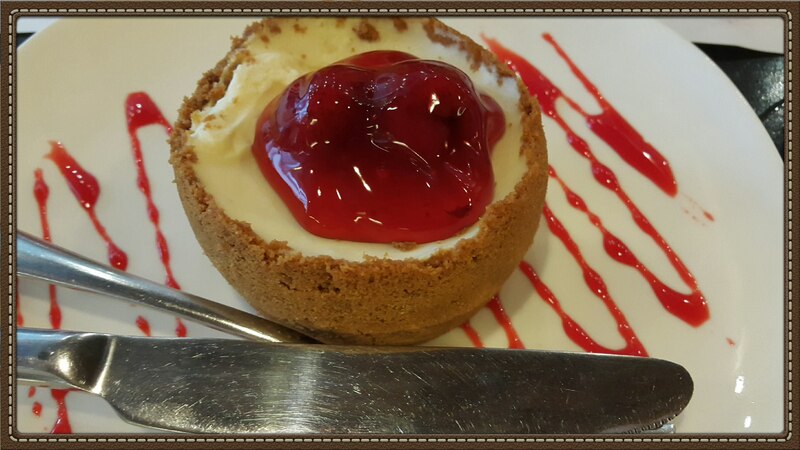 I love how simple it is and how its taste complemented all the dishes we ordered. 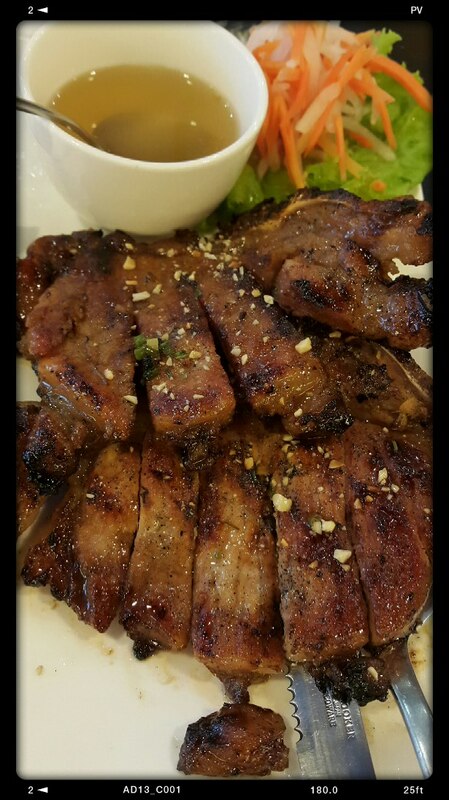 This rice is perfect with the barbeque pork chop. 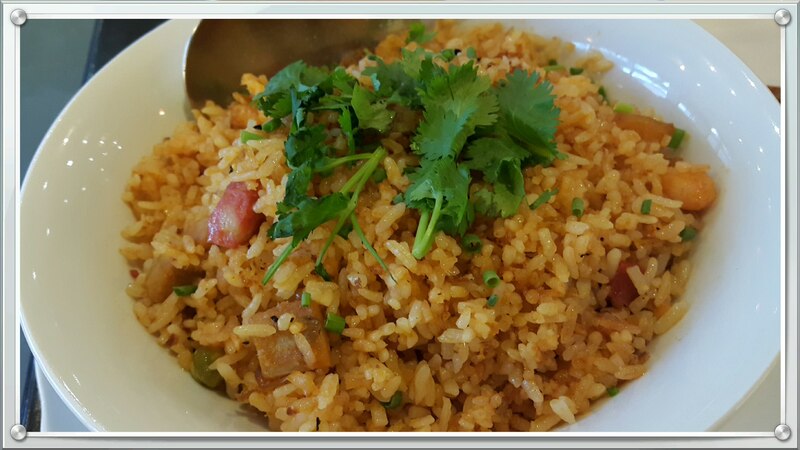 One of my favorite fried rice so far. 🙌 to the chef! The chairs are comfortable. Lighting is very romantic. Their servers are knowledgeable of the food they have on their menu. They are very helpful and snappy whenever we need anything. Our glasses are always filled with water and our bottomless iced tea are re-filled even without us asking for it. 👌 for Zao’s servers. My mom loves it because it’s not sweet but I didn’t like it at all. 😥 Let’s just blame the fact that I don’t like crepe. But its taste and originality will make you enjoy eating it. The best thing about Zao is its cleanliness and coziness. You’ll feel comfortable and sleepy once you’re inside. The only thing that’s missing here is the lack of smile from some of their servers. 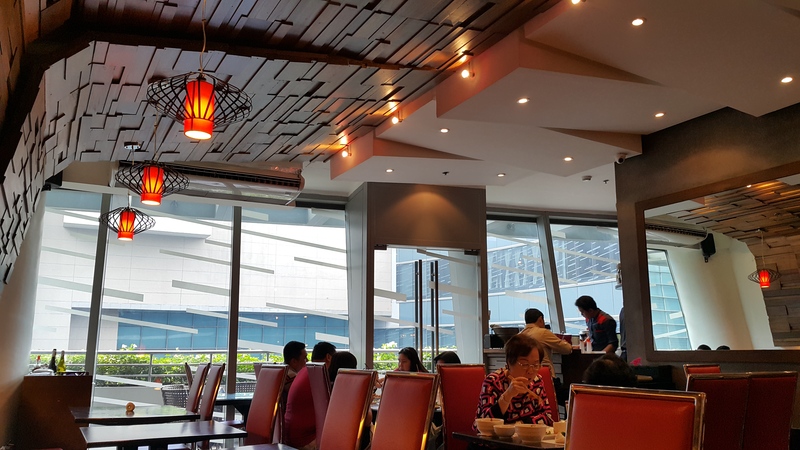 If you’re already used in eating in restaurants with friendly servers and managers, you would feel the difference once you eat here. If the person is joyful and is passionate for his job, it is very easy for him to enjoy what he’s doing. Read more examples of great customer service by clicking here and here. 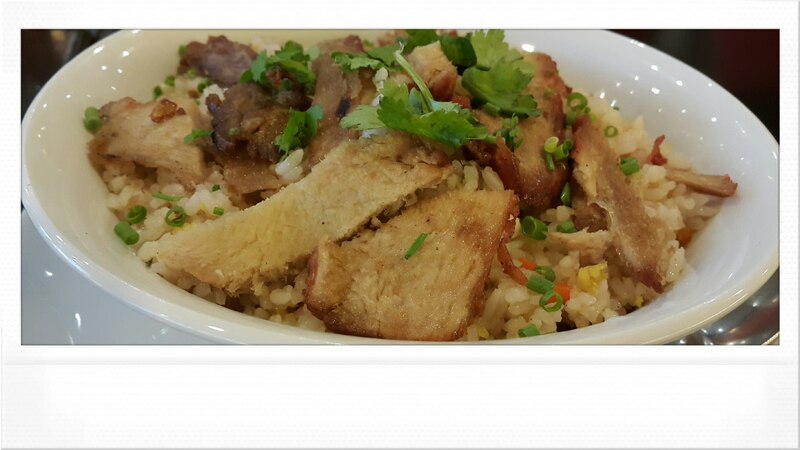 Zao is perfect to those who don’t want salty food. 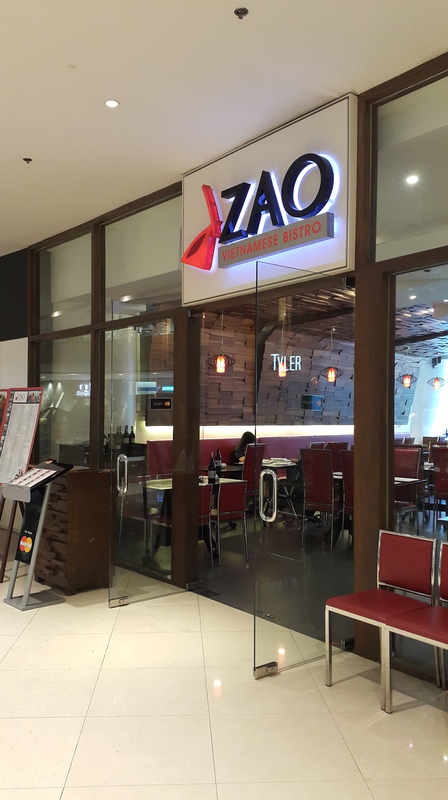 If you’re looking for something new to try, eating in Zao won’t be a gamble. 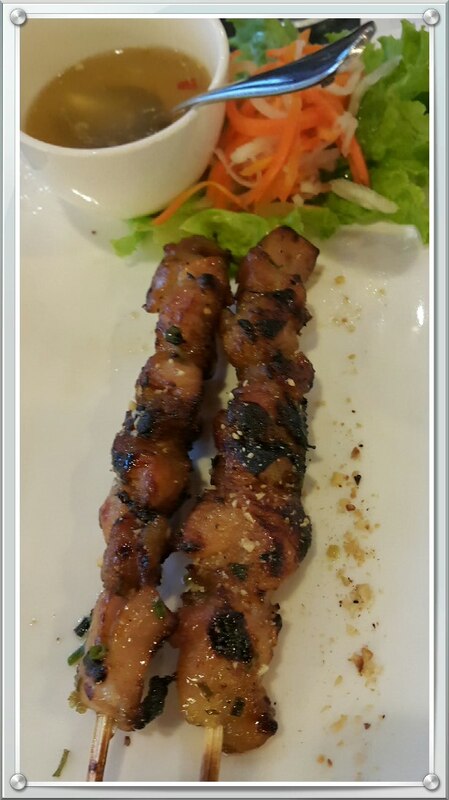 I’m happy that the first Vietnamese food we tried is from Zao. At least now I know how Vietnamese cuisine should taste like. For more details and promos, please visit Zao’s Facebook fan page by clicking here.